Mozilla Firefox Corporation is just about to jump into the Smartphone OS war. 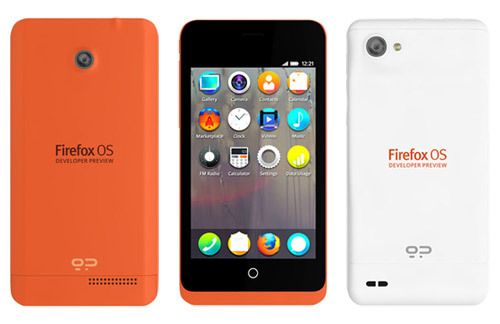 Mozilla is ready to launch its own Mobile platform FirefoxOS which is based on Monolithic (Linux kernel) open source operating system for Smartphones and tablets. This week Mozilla are announcing their new Firefox OS developer preview phones because they believe that developers will help bring the power of the web to mobile. These developer phones are being developed by Geeksphone in partnership with Telefonica. They are looking to make them available in February. Developer preview phones will help make the mobile web more accessible to more people. Developers are critical to the web and to Mozilla’s mission to make the web accessible to everyone. Hundreds of millions of people worldwide use Firefox to discover, experience and connect to the Web. A web based on open standards and open technologies. Now they are working on bringing the power of the web to mobile, through Firefox OS, along with all the power of open standards and an open community.